What’s the Big Deal About First Ladies? was sent to me for review by Penguin Books. Post contains affiliate links. It’s no secret we are avid book lovers in our house. We read everything from fiction to non-fiction, graphic novels to 600-page biographies. Pictures books, alphabet books, and board books…we love them all. To me What’s the Big Deal About First Ladies? is a big deal! 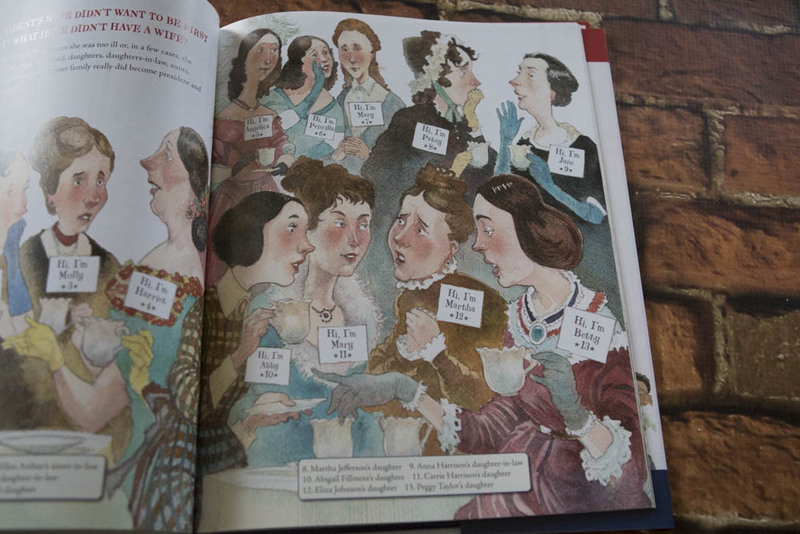 I love that this book focuses on important women in history and some of the differences they made both with and without their husbands. I love this book and am excited to be able to give a copy away. 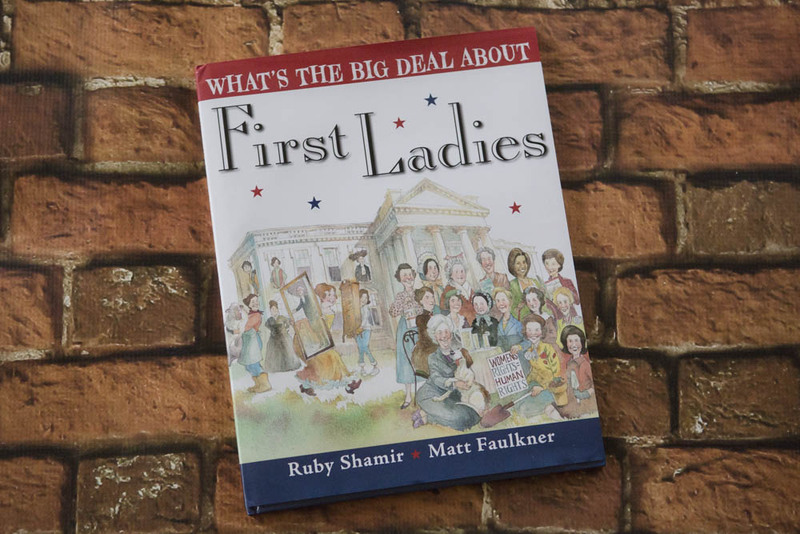 Filled with fun, kid-friendly facts that bring each First Lady to life on the page, this picture book written by a member of a former first lady’s staff, shows us just how much our nation’s first ladies have accomplished from Martha Washington to Michelle Obama. When it comes to non-fiction picture books my kids love this style of book with little nuggets of information spread out all over the page. 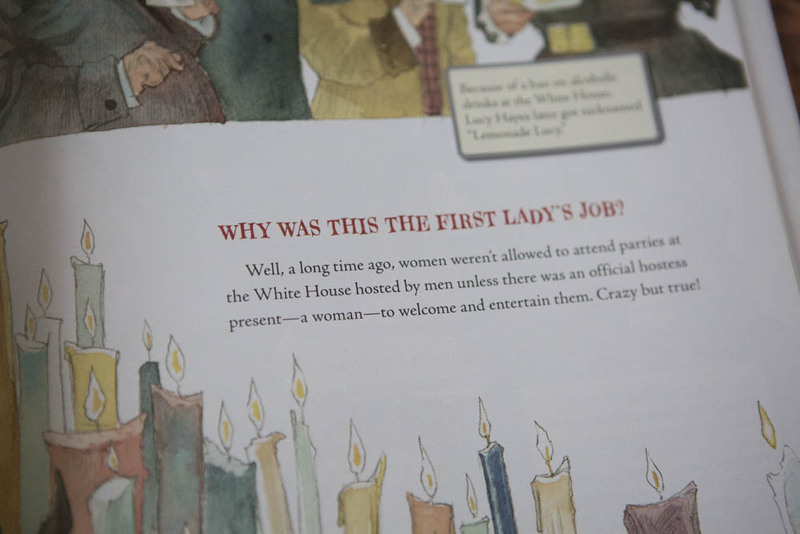 I must admit I learned a ton from this book when I read it to Apollo…I loved learning about the First Ladies but I am partial to Edith Roosevelt. And then, of course, his famous, “Speak softly and carry a big stick” pretty much sums up our parenting philosophy. (Don’t worry, the stick it figurative! For us it means, speak softly but enforce your rules). And then there is his wife, Edith. She was one amazing lady. She and Teddy had six kids (including her step-daughter) and it was Edith’s idea to renovate the White House so the personal living quarters were separate from the business side. By all counts, their children were active and lively. You know, kind of like mine. You might be familiar with the story of one child putting their pony, Algonquin, in the elevator to take him up to visit his sick brother, Archie. Too bad Edith Roosevelt didn’t have a blog. I am sure I would have loved it. Edith Roosevelt was the first person to consider the White House to be a national treasure. She wanted to preserve it as a part of history…and insisted that portraits of each and every First Lady be hung in the White House. See why I love her? She was adventurous and traveled after her husband’s death to far off lands like South America and Africa. Yes, she was definitely my kind of First Lady! 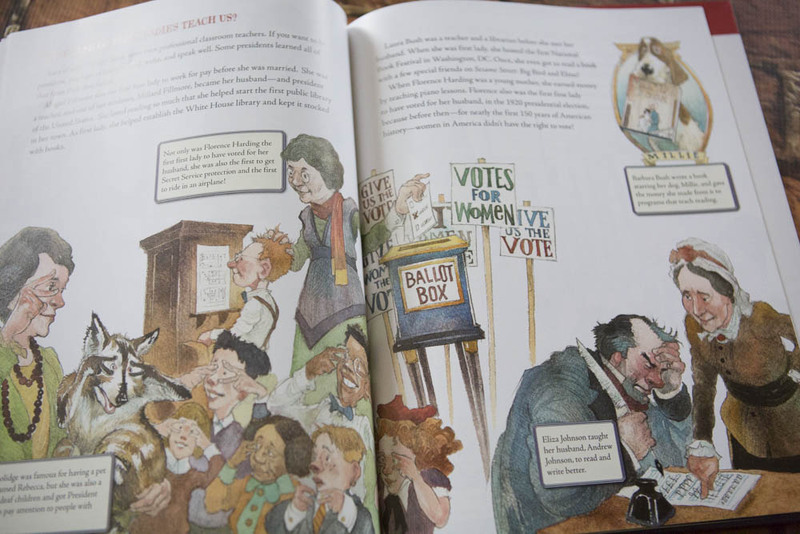 My kids loved this book and I’m pretty sure yours will too (be sure and enter to win a copy). It sounds like fun! My kids love fact books, too. It sounds like such a good read! ill go check it out on amazon! 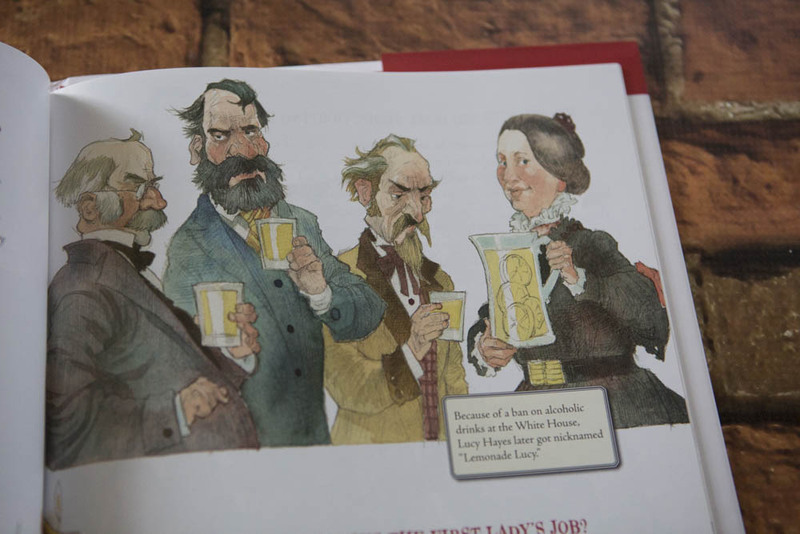 That’s interesting about Edith Roosevelt. I would like this book. What a great looking book. My 7 year old would love it. This book sounds perfect for my little rebel girl! This book would be so fun for my little Eleanor to have ! This books sounds great especially on National Women’s Day!